Have you ever pulled your hair out trying to understand why your conversion data does not match between Google Analytics and Google AdWords? This is not another article regurgitating the definitions of Google’s attribution models. You can read more about “last click” vs “first click” definitions here. When you are running a business and stuck trying to figure out “why don’t these things just WORK!” it can be extremely frustrating. In this article I will walk through the common use case that we see with the majority of our analytics and Shopify GTM app customers. By now you’ve probably heard the terms “last-click” and “multi-touch” attribution and realize that most users don’t search => click => buy in their first touchpoint with your brand. There could be views of social, email sign ups, remarketing engagement, etc. I’m guilty of this as well! Don’t get me wrong – this is still one of my favorite and most useful at-a-glance reports. The way that this report attributes conversion value aka revenue in this example is last non-direct click. Cool – makes sense, right? 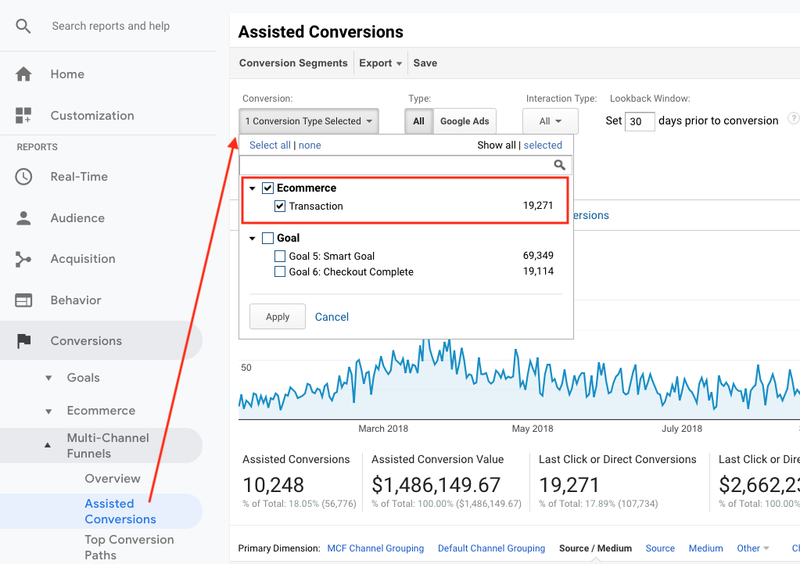 Since Google realizes the last non-direct click revenue report isn’t the only way you should analyze your marketing performance they also offer their Multi-Channel Funnel (aka “MCF”) reports that go deep pretty quickly. For this exercise I’m going to simply compare last-click revenue from the Source/Medium report above to last-click revenue in the MCF report – both sorted by revenue. Do you notice the (drastic) differences between revenue from paid search and direct? AdWords revenue is about $275K lower in the MCF report and direct went from ~ $350K in the report on the left to $1.1 million on the report to the right! And both still add up to the same $2.6 million overall revenue. It’s complicated, confusing, and there isn’t enough time in the day for most business/marketing owners to worry so much about these inconsistencies. So why are these different then? The MCF report is reporting true last-click revenue (instead of last non-direct click revenue like the source/medium report). *Not to throw more into the mix but the MCF report has a “lookback window” that defaults to 30 days (vs 180 days for standard source/medium). We’ll skip this for now :). Ahh – ok, this makes sense now. They are two different attribution models and thus will never be the same! When you are asking yourself (or someone asks you) “how does GA attribute revenue” your answer should be: “well, what report are you looking at”? Or even better “what is your attribution strategy”? Now let’s take a look at AdWords! Let’s assume that you have a team (internal or external) managing your paid search campaigns and deliver AdWords specific reports on performance to you. Things like ROAS, cost/transaction, total conversion value by campaign, etc. Awesome! All of your AdWords reports look great. All valid emails, questions, and frustrations. Why the heck can’t everything just be simple and report the same?! 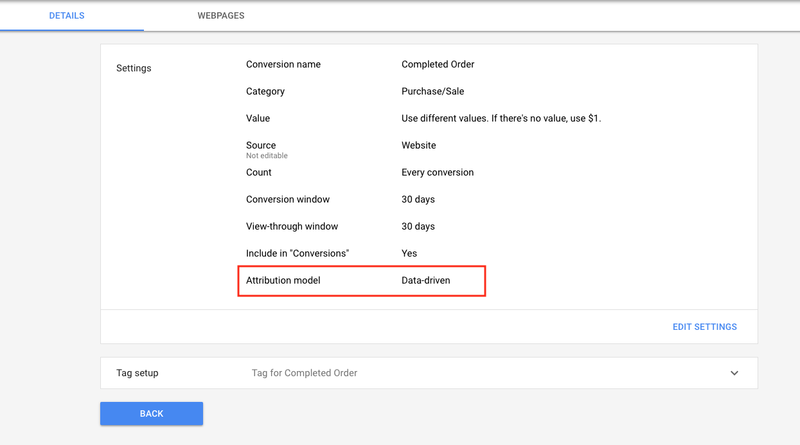 Well in this example it is because the attribution model for AdWords is set to “Data Driven” which is not the default setting in GA. Conversion Window: Say your window is 30 days. If someone clicks your ad then makes a purchase 29 days later, it’s counted as a conversion. If they make the purchase 31 days after the ad click, it’s not counted as a conversion. View-through Window: View-through conversions are conversions that happen after an impression of, not an interaction with, your ad. Both valid considerations when analyzing performance of paid search – especially if you are running a heavy display prospecting/remarketing campaign through Google Display – but these are not accounted for in Google Analytics. Starting to make a little more sense yet / see all of the different possible scenarios? What if I want to change my attribution settings? You can do this but keep in mind that this will not change any of your historical data – only new conversions going forward. Validate your AdWords tag is firing and sending the proper revenue amount. If you’re not using our GTM app yet for Shopify then this should fix any issues you might have with data quality. Check to confirm that you don’t have two AdWords transaction events firing which will complicate things (sometimes you can have one in GTM and another in your checkout additional script config). Validate GA is sending transactions with the GA Tag Assistant and GA Debugger chrome extension. When comparing your aggregate Google Analytics revenue to aggregate Shopify (or other eComm platform) and you are within 5% then you are considered normal (sorry bean counters). 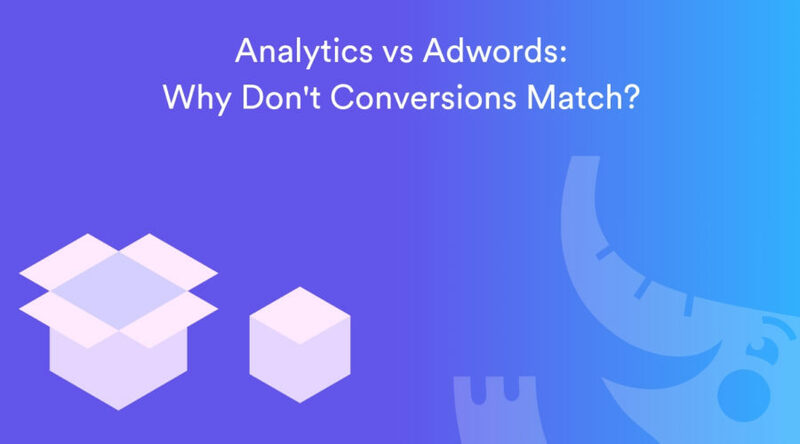 Comparing Google Analytics revenue to AdWords conversion value is not an apples to apples comparison. Throw Facebook into the mix and things get really interesting 🙂 . Discuss your attribution strategy. Ex. are you heavy on paid to acquire new targeted full-with-intent shoppers or do you rely on social to prospect and paid to nurture and convert? Agree to a strategy that you will use in your reporting across all channels. Ultimately you want to avoid the circumstance where one dept/agency sends you a report on “$100 conversion value from Facebook” – it’s going great! And another sends “$80 conversion value from Paid Search” – keep it going! All for the same $100 order. $180 does NOT equal $100. It’s not easy – but understanding the foundation of why reporting is different will go a long way! Use our GTM container to save you time and unlock the full checkout funnel in GA. Works for all Shopify stores.